MSSNY eNews: Marijuana: Right or Wrong? There is significant public pressure to permit the recreational use of marijuana. Given the new political makeup of the New York State Legislature come January, it is a distinct possibility that legislation to legalize its use will be a high priority. Particularly given that many of the states surrounding New York—Vermont, Massachusetts, Connecticut, and New Jersey— not to mention the entire country of Canada, have acted or are soon to act to legalize its use. We have shared with many our support for eliminating the threat of criminal sanction for marijuana use, but also concern with its outright legalization, citing statistics from other jurisdictions such as Colorado where legalization has occurred. We have had meetings throughout the fall with top staff to the Governor, the New York State Health Department and with key legislators. We have engaged allies such as the NYS Association of County of Health Officials. We have testified at several regional forums. And we have engaged with the media regarding our concerns, including the Buffalo News and Syracuse Post-Standard. Given the substantial amount of revenue New York State could achieve through permitting the sale of recreational use marijuana, we anticipate seeing a proposal in the state budget. Now is the time to engage with your local legislators to let them know of your perspective on this issue. We understand that physicians may have diverging perspectives on the merits of legalization of marijuana. 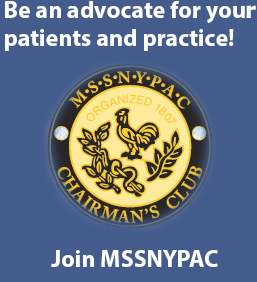 Indeed, the physicians on MSSNY’s committees had diverging perspectives. But they all agreed regardless of these perspectives that the state must place strong guardrails around any legalization proposal to prevent against harm to the public that could occur. Please share your suggestions or thoughts with me at comments@mssny.org. The conversation regarding single payer legislation in New York continued on Thursday as Assembly Health Committee Chair Richard Gottfried and others testified before the New York City Council, which was considering (and ultimately adopted) a resolution in support of the far-reaching proposal . During his testimony, Assemblyman Gottfried noted that new iteration of the plan would include long-term care and would be financed by mostly by higher earners via a “broad-based progressively graduate taxes,” adding at least $159 billion to the state’s tax rolls each year. In addition to a payroll tax (80% paid by employers), he referenced an additional tax on capital gains and dividends. Assemblyman Gottfried also noted that the bill would “make sure doctors, hospitals and other providers are paid fairly – and today, most of the time, they are not.” He explained, “…the legislation explicitly requires that provider payments be reasonable, related to the cost of providing the care, and assure an adequate supply of the care. No coverage today has that guarantee.” Gottfried believes that savings will be garnered via elimination or reduction in bureaucracy and administrative burdens and asserts that physician payments will not decrease. The Greater New York Hospital Association testified at the hearing to express its strong concerns, citing a lack of federal funding, escalating taxes and potential reductions in payment to hospitals, stating “There are huge obstacles in the way…and we do not believe these obstacles can be overcome.” Municipal unions also discussed their concerns about the proposal, even as Assemblyman Gottfried assured union leaders that concessions would be made addressing their concerns. Also, it was reported this week that enrollment through the NYS Exchange is up this year for 2019 coverage, despite Congress’ elimination of the individual mandate. According to its press release, more than 930,000 consumers had enrolled in coverage in a Qualified plan or the Essential Plan, including 51,000 new consumers. Noting that “physicians are extremely worried about the adverse impact to patient care as a result of the increasing consolidation in the health care industry” MSSNY President Dr. Thomas Madejski this week urged the New York Department of Financial Services (DFS) to reject the proposed acquisition of Express Scripts by Cigna. In particular, he noted that the merger of behemoths in health care seldom occurs in a vacuum – It almost always prompts “copycats” to counteract the enormous bargaining leverage the newly merged entity will have. 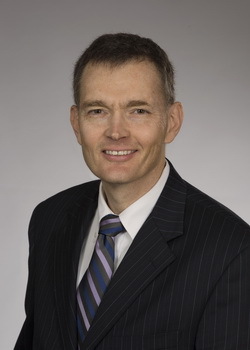 The combined entity will leverage its significant new market power to impose even more burdensome prior authorization hassles for physicians and their staff that already unduly interfere with patient care delivery, at a time when New York physicians spend an inordinate amount of time on receiving prior authorizations. The lack of a regulatory structure in New York regarding the actions of PBMs. The letter also urged that, if the transaction is to be approved, Cigna should be required to reduce prior authorization burdens, support efforts to regulate PBMs, and to contribute towards enhancing the ability of the DFS to investigate health insurer violations of New York’s extensive managed care laws. As reported in numerous media sites, US District Court Judge Richard Leon has considered delaying the proposed mega merger between CVS and Aetna. He has ordered a hearing for December 18 and told the companies to present arguments by December 14 to convince him why the acquisition should be permitted. The US Department of Justice (DOJ) had approved the merger in October under the condition that the companies sell Aetna’s Medicare drug plan business to preserve competition. The acquisition of Aetna by CVS had also been signed off by every state reviewing the transaction, including New York, which approved the merger last week with numerous conditions. 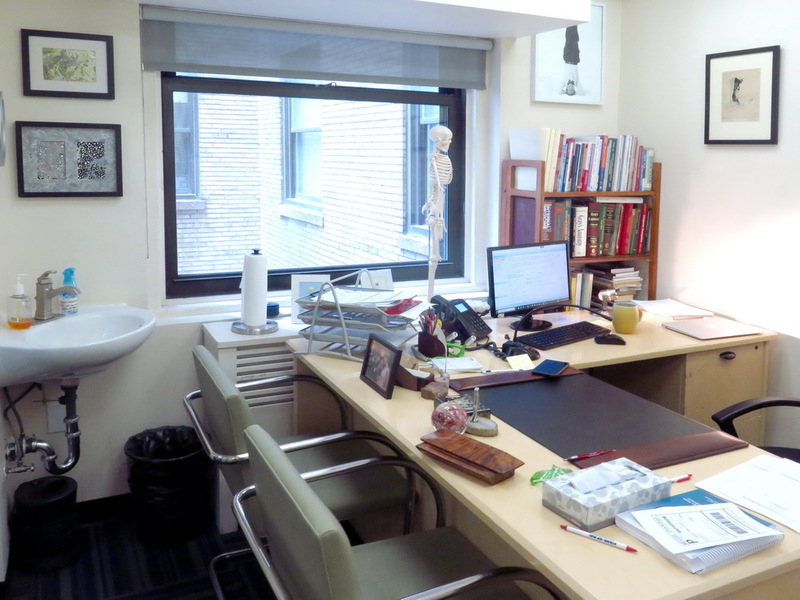 While DFS’ conditional approval agreement addressed to some degree some of the concerns raised by MSSNY over the last year, MSSNY President Dr. Thomas Madejski issued a statement noting that physicians remained very concerned about the adverse impact to the health care delivery system in New York given the enormous reach of this transaction. Judge Leon’s stated concerns included the strong opposition by the American Medical Association, which last summer submitted extensive documentation to the DOJ urging it to reject the merger, arguing it would leave consumers with fewer health care choices. In addition to Medicare prescription drug plan choices, AMA also raised concerns about reduced health insurance competition and patient community pharmacy options. “Given that I have to decide, based on what I expect to be well-informed and thoughtful public commentary — I specifically already mentioned the American Medical Association’s lengthy concerns that they have put in writing previously,” Judge Leon said. 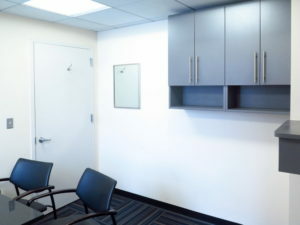 Prior to approving the merger with conditions, New York DFS Superintendent Maria Vullo had stated publicly her very significant concerns about the scope of this transaction on health care delivery. The numerous articles on this issue have also noted that it is unclear if Judge Leon has the power to reject the merger, or simply question whether the conditions are satisfactory to meet antitrust concerns. MSSNY has been discussing with AMA antitrust experts the possible next steps that could be taken to prevent this merger from being advanced. Given the fluidity of this situation, please remain alert for further updates. MSSNY, together with the American College of Obstetricians & Gynecologists (ACOG) – District 2, have been participating in an ongoing series of discussions among several stakeholders organized by the NYS Department of Health seeking to establish regulations permitting midwife-led birthing centers (MBC) in New York. Legislation permitting these centers was signed into law by Governor Cuomo in 2016 but implementing regulations have not yet been completed. Other participants in these discussions include associations representing hospitals, midwives, and birth centers. The DOH staff have sought to clarify a number of questions in developing the implementing regulations including: the definition of which expectant mothers are “a patient at low risk”; the required level of review by the State to establishing a MBC including whether it should require a certificate of need (CON); the scope of collaborative agreements between midwives and OB-GYNs; the scope of transfer agreements between MBCs and area hospitals; and whether, as argued forcefully by ACOG, there should be a required agreement of an MBC to a regional perinatal center (RPC) to assure that the best interests of expectant mothers and their babies are met. In 2017’s audit report, CMS found that 45.1% of provider directory locations listed in online directories were inaccurate. In the early 2018 report, 52.20% of the provider directory locations listed had at least one inaccuracy. Now, the third such report shows that 48.74% of the provider directory locations listed had at least one inaccuracy. The types of inaccuracies remain the same: the provider was not at the location listed; the phone number was incorrect; or the provider was not accepting new patients when the directory indicated they were. These inaccuracies put people with Medicare in a difficult position. Not having access to accurate directories when they are making decisions about their Medicare options can lead to beneficiaries choosing MA plans based on illusory networks. Coupled with CMS’ current campaign that blatantly favors MA over Original Medicare, risks are mounting that people will mistakenly enroll in an MA plan that is not right for them. Once enrolled, they may find that they are reaching out to doctors that are unreachable, not in the areas they expected, not accepting new patients, or perhaps not part of the network at all. There’s even a chance that people with Medicare could suffer from lack of access to care by choosing a network without providers that are accessible or genuinely accepting new patients. In the 2017 report, CMS announced they had sent 31 Notices of Non-Compliance, 18 Warning Letters, and 3 Warning Letters with a Request for a Business Plan. In the early 2018 report, they announced 23 Notices of Non-Compliance, 19 Warning Letters, and 12 Warning Letters with a Request for a Business Plan. In this latest report, 18 Notices of Non-Compliance, 15 Warning Letters, and 7 Warning Letters with a Request for a Business Plan were sent. CVS Health Corp announced as of the beginning of 2019 a new prescription benefit option for employer-sponsored plans that will ensure clients receive all rebates and discounts paid by drugmakers. The new plan, called “guaranteed net cost,” may serve to counter criticism of pharmacy benefit managers (PBMs), often the beneficiaries of rebates paid by pharmaceutical companies. Forbes (12/5) reports, “In August, CVS grabbed headlines when it disclosed that it has historically retained 2% of rebates negotiated with drug makers, which this year translates to 3% of the company’s annual earnings per share, or about $300 million.” The move by CVS echoes a growing trend among PBMs generally to increase transparency on drug pricing for consumers. Kaiser Health News piece predicts that millions of Americans are likely to drop their health insurance for next year now that the ACA’s penalty for not having coverage has been eliminated https://khn.org/news/without-obamacare-penalty-think-itll-be-nice-to-drop-your-plan-better-think-twice/ The Congressional Budget Office predicted that “the repeal of the penalty would move 4 million people to drop their health insurance next year – or not buy it in the first place – and 13 million in 2027.” The article says some consumers “who from the start hated the Affordable Care Act, or Obamacare as it is often called, will drop their coverage as a political statement,” while others will do so because of affordability. In response to the recent and expanding measles outbreaks in New York State, MSSNY has added a just-in-time Medical Matters webinar to our 2018-19 roster. William Valenti, MD, chair of MSSNY Infectious Disease Committee and a member of the Emergency Preparedness and Disaster/Terrorism Response Committee will serve as faculty for this program. Registration is now open for this program here. Increase physician’s awareness of the role of measles as a re-emerging infection. The Meeting will be held on Saturday, February 9, 2019 at the Marriott Courtyard in Westbury, with YPS and RFS business meetings held at MSSNY headquarters down the street. Presentations will be given on Opiates and Social Medial. More to follow! The thresholds for Stage 3 Objective 6 Coordination of Care measures 1 and 2 will not increase. These measures will remain at more than 5% for 2019 meaningful use and the remainder of the program. The eCQI Resource Center has posted the 2019 CQMs. These align with MIPS, so eligible professionals may be able to participate in both the NY Medicaid EHR Incentive Program and MIPS. Questions? Resources about meaningful use, including tip sheets, webinars, and frequently asked questions are available at https://health.ny.gov/ehr. For additional assistance, please contact program support at 1-877-646-5410 or hit@health.ny.gov. Medicare is modifying one year’s worth of payments to 14,959 skilled nursing facilities based on readmission rates, according to a Kaiser Health News report. Nearly 11,000 nursing homes will face penalties, while nearly 4,000 others will receive bonuses, the report states. The payments factor in how often nursing home residents are rehospitalized within 30 days of leaving. They aim to reduce preventable hospital admissions of residents and dissuade nursing homes from discharging patients too quickly, according to the report. Nursing homes will receive the bonuses and penalties during the fiscal year that began Oct. 1 and ends Sept. 30, 2019. The bonus for best-performing nursing homes is 1.6 percent more per Medicare patient, and the worst-performing nursing homes will see a penalty of nearly 2 percent of each payment. The incentive payments, which do not apply for patients covered by private Medicare Advantage, are part of CMS’ Skilled Nursing Facility Value-Based Purchasing Program. To determine the payments, Medicare factored in performance on the program’s hospital readmissions measure during calendar year 2017 and examined improvement made since calendar year 2015. Well-appointed medical office building with enclosed private parking. 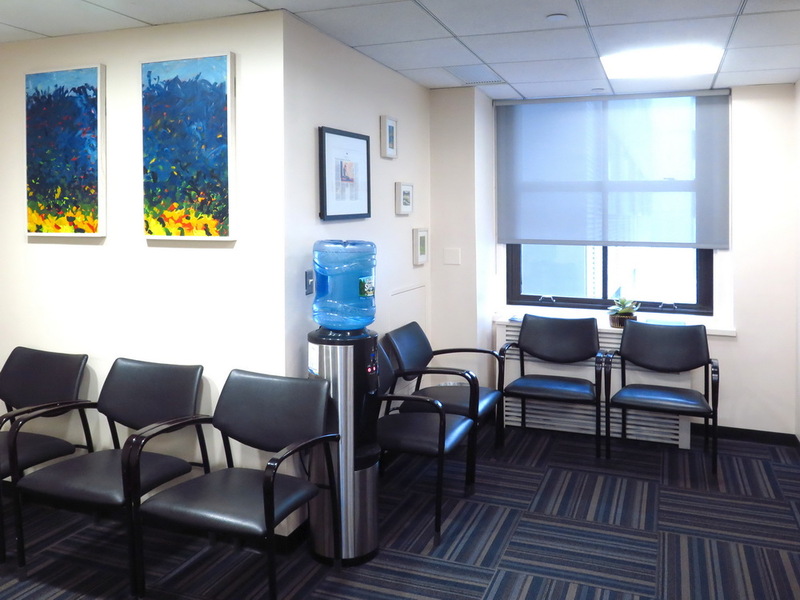 Large waiting room and reception area with adjacent kitchen. Three consultation rooms and large procedure room/operating suite. Flexible availability with all mornings available or 2 full weekdays and weekends available. Perfect for plastic surgeon/dermatologist/ENT/ObGyn/podiatrist or other medical MD. Contact Harriet at harriet@plasticsurgerypc.com or 516-466-7000. Is Your Business Website Compliant with The Americans with Disabilities Act (ADA)? If not you may be subjected to legal action! We can do a free audit of your website and let you know what corrections are needed. Call 516-830-1973 or visit tinyurl.com/ADAWebsiteHelp for more information.